DESCRIPTION You are looking at another SWG exclusive ! 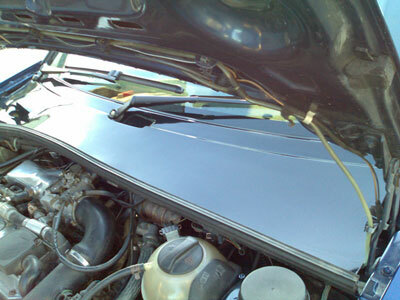 The Corrado full length smooth scuttle panel, designed from scratch to replace the original (and now obsolete) 3 piece item. 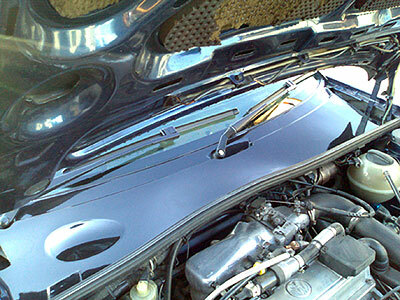 The new design also covers the wiper motor and heater motor area to provide a new smooth look the the engine bay. This unique item is a direct replacement and uses the existing fittings and original mounting locations to provide an O.E satin black look product that can be retro fitted with no special tools. Fits ALL right-hand drive models inc VR6, G60. 16V and 8V etc. Supplied in a OE style Matt black finish. Please note: Available for Right-hand drive cars only.